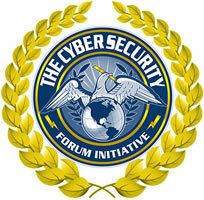 The Cyber Security Forum Initiative (CSFI) is a non-profit organization headquartered in Omaha, NE and in Washington, DC with a mission "to provide Cyber Warfare awareness, guidance, and security solutions through collaboration, education, volunteer work, and training to assist the US Government, US Military, Commercial Interests, and International Partners." Vouchers for $5,000 worth of CSFI training when available. Three (3) social media promotional announcements through LinkedIn (valued at $3,000.00) to our rapidly growing network of over 93,000 CSFI members around the world. Verbiage provided by sponsor. Monthly submissions in our CSFI newsletter comprised of over 9,000 cyber security subscribers (valued at $6,000.00). Verbiage provided by sponsor. Company name and logo featured as Gold Sponsors throughout all CSFI webpages. VIP passes for cyber events, upon request and subject to availability. Opportunities to participate in and speak at events in conjunction with CSFI when appropriate. Opportunities to share booth space with CSFI at events at no cost, twice a year.